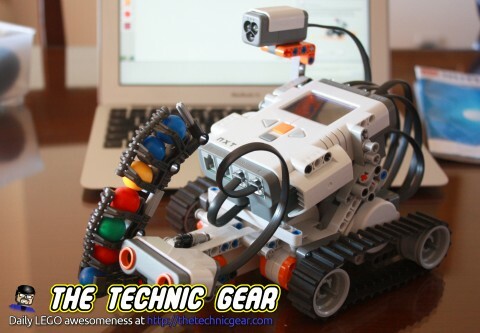 A week ago I wrote the first part about my experience building ShooterBot, the first and most basic robot you can build using LEGO Mindstorms 8547 Set. This article completes ShooterBot as described in the instructions. The Ultrasonic sensor detects object in front of the robot and after warning the intruder it shoots a color ball if threat is still present. So just follow the instructions and make sure to plug Ultrasonic Sensor into Port 4. 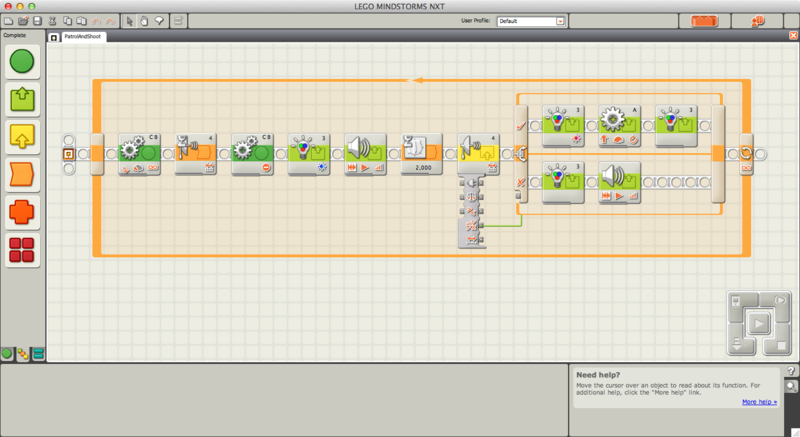 This is the last step, so if you had no problems on the previous robots this one should be fairly straight. Perhaps you forgot to plug the Ultrasonic sensor? Maybe the distance is too short? I had some issues with what I believed 20 centimeters were and what Ultrasonic sensor thought. Try increasing the distances. Motor A is plugged, right? Are there balls still inside ShooterBot? When we removed the Color Sensor to make room for the ball shooter artifact maybe you forgot to plug it again. Also make sure that you are using the On check mark on NXT-G for the color you want to light. I had this problem. You need to add a delay after the warning light and sound AND before the code that does one rotation of motor A if the Ultrasonic sensor detects something. Usually 1-2 seconds is more than enough. Make sure Ultrasonic sensor and ball cannon are aligned. As you can see in the video the object is detected and warned but the ball miss the target everytime. ShooterBot could patrol so predefined path and detect threads on some points of the path. When ShooterBot runs out of ball it keep shooting. Save battery, don’t shoot. If you have any problem, any idea or need any help just write it here I will do my best to help.